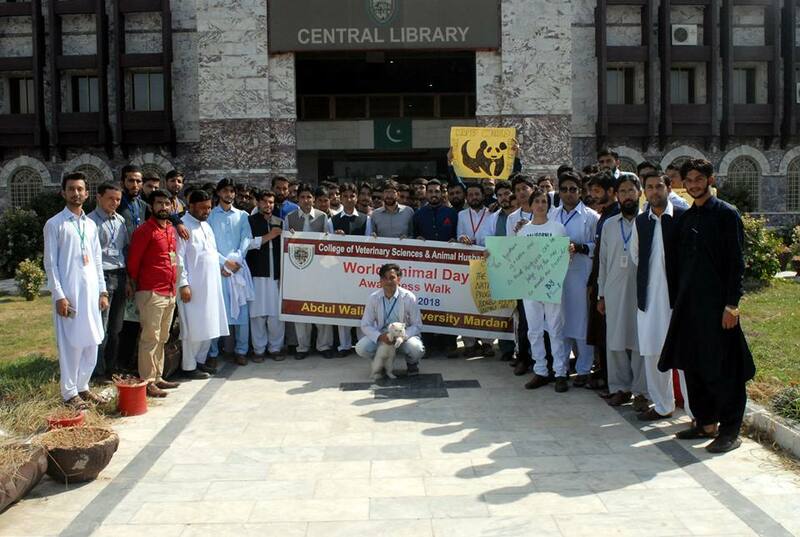 “World Animal Day was celebrated at the College of Veterinary Sciences and Animal Husbandry, AWKUM, dated October 04, 2018. 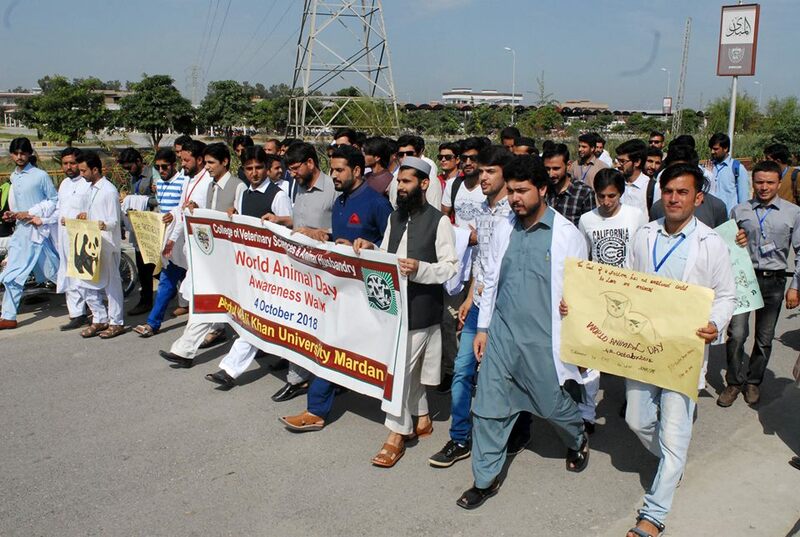 The faculty, staff and students of the college arranged an awareness walk regarding animal day theme inside the campus. Dean of the faculty of Chemical and Life Sciences graced the awareness walk. A social program was arranged at the college, where students presented different tablo, skits, quotations and poems related to the day. Acting Principal Dr. Tahir Usman briefed the students regarding the aim/objectives and history of world animal day celebration and about the animal rights and welfare. He addressed the students to play their due role in order to raise the status of the animals and let this planet a better place for all creatures. Dr. Irfan Khattak also spoke in the event and elaborated the animal rights and the role of veterinary students in raising the standard of animal welfare. The event was ended with a dua by Dr. Qari Fazle Rabbani followed by refreshment."